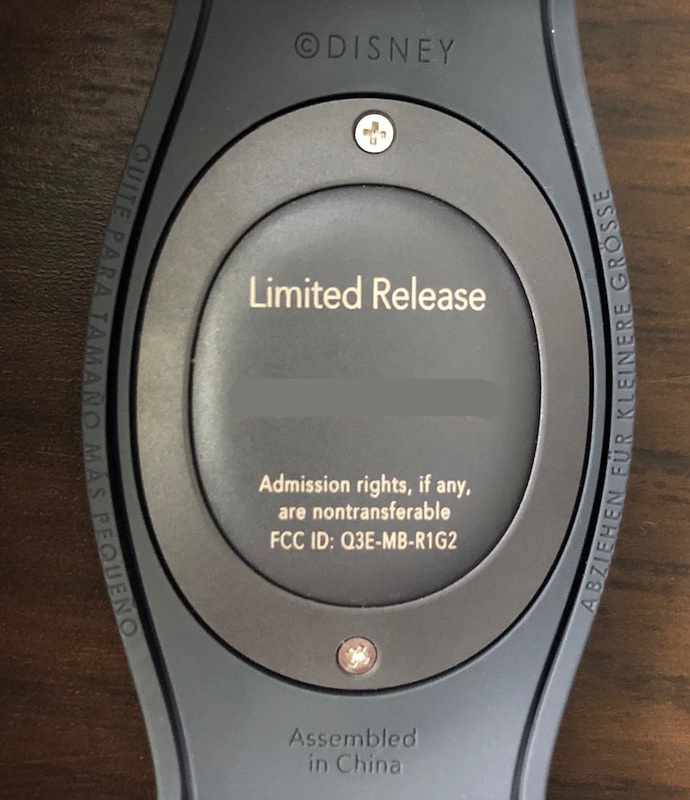 Two new MagicBands have been recently released somewhere within the Walt Disney Resort. I’m not sure exactly where these were picked up at, as these pictures were sent to me from a reader. 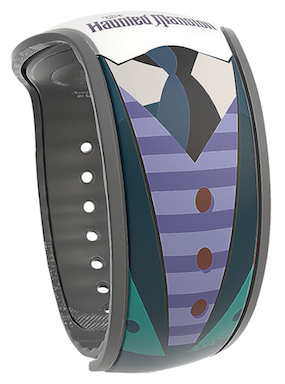 The MagicBands include a new Haunted Mansion Open Edition costume band, and a Mickey Mouse Halloween Limited Release band for 2018. 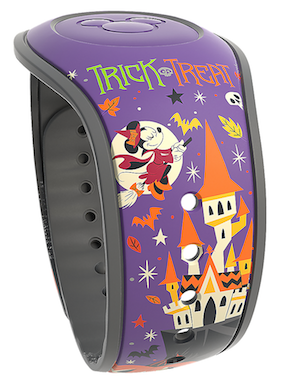 This new Halloween band is not for the special Mickey’s Not So Scary Halloween Party MagicBand (and I’m unsure if the party will have a band this year or not yet). 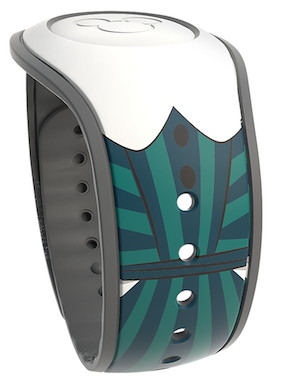 Here is the Open Edition Haunted Mansion band for $22.99. SKU 400020848611. 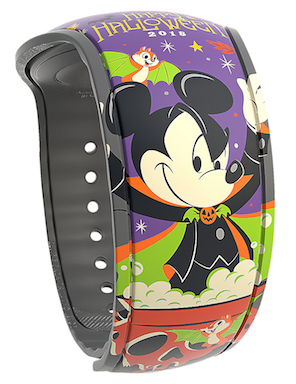 Here is the Limited Release Halloween band for $27.99. SKU 400020848635. 16 Responses to "New Haunted Mansion and Halloween MagicBands hit the parks"
Any word on if they light up like a pumpkin? any reason for the doubt about the MNSSHP band? i thought for sure we would see it by now as well. bummer if true. Hey Ethan. There is a MNSSHP LE band this year. It’s in stock already but there is no pic available and it hasn’t been unpacked yet. I’ll send ya one if I get it. Awesome thanks for the tip! If you can send me a SKU for it that would be great too. I cant find it. Where did you see it in stock online? They don’t sell the MNSSHP bands online. It’s usually late August when announced. Did last year’s MNSSHP LE band make it to clearance at the Disney Character Warehouse? I saw so many of them on eBay for $20 or so, just like the Flower and Garden Festival 2017 LE band that shared the same fate at clearance for $5.99. Just trying to get an idea if I should wait for clearance or pick one up at the park for full price less AP discount. both of last years bands made it to the character outlets, yes. Thanks for confirming! Do they last long on shelves there, or are they scooped up by scalpers pretty quickly? Last year, they were at the outlets before the parties were over. Do the party bands have to be purchased during the party? Or are they available during the day as well to non-party goers?